Never let a man who usually runs around in nothing but his underwear provide you with fashion advice. From Avengers #161 by Jim Shooter and George Pérez. 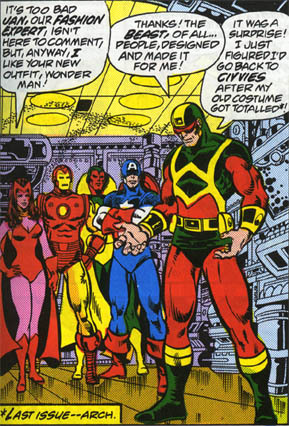 I Made It Into The Avengers! Old Characters: Do They Still Hold Value?